As some sort of weird mash-up of the Goonies, E.T. and Cloverfield, Super 8 wears its influences on its sleeve. This JJ Abrams-directed and Steven Spielberg-produced summer blockbuster never really tries anything new; instead, it frequently relies on the tried-and-true tactics of old favorites to lead the way. 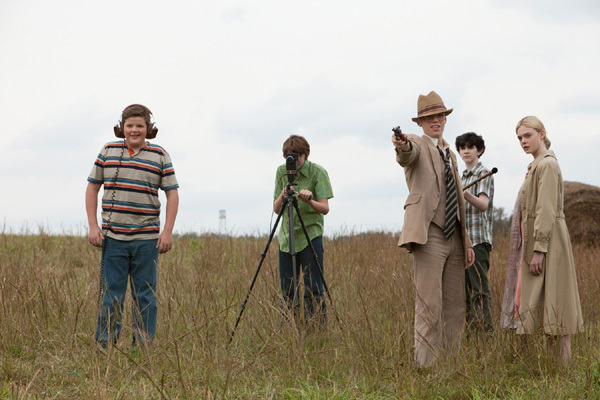 Set in the small fictional town of Lillian, Ohio in 1979, Super 8 follows a group of middle school-aged boys who are attempting to create their own zombie film. When they are filming a scene at the local train station, they witness a massive train crash caused by a truck that appeared to deliberately drive into the train’s path. This creates a *huge* explosion that sends pieces of the train flying everywhere, and the entire spectacle of it all is impressive — and LOUD. When the U.S. Air Force quickly shows up to clear out the area, it is obvious that this train was holding some very important cargo, something that the government does not want the public to know about. The town of Lillian begins to experience some mysterious occurrences after the crash. Dogs are running away to other counties, people are missing and the power keeps flickering in and out. Naturally, the U.S. military has no intentions of cluing the villagers in on what’s going on, so it’s up to the kids to take matters into their own hands. It’s at this point where the film started to lose me. The entire plot is pretty much basic paint-by-the-numbers stuff, and if you think something is going to happen then it will. It’s all very predictable, and the movie is full of hackneyed cliches that are more laughable than anything. The child protagonist, Joe (Joel Courtney, who reminds me a lot of Patrick Fugit in Almost Famous), struggles to maintain a healthy relationship with his father, Sheriff Deputy Jackson Lamb (Kyle Chandler), after losing his mother in a factory accident. At the same time, Joe is attempting to hide a blossoming romance with his friend Alice (Elle Fanning) since their fathers hate each other. Alice eventually becomes the de facto “damsel in distress” and I’m sure you can guess where the story goes from there. The ending, which I won’t discuss for obvious reasons, is perhaps the guiltiest culprit of all. It is unbelievably cheesy, and in typical JJ Abrams fashion leaves a lot of questions unanswered. Throw in some ridiculous moments such as characters conveniently knowing where to go and how to escape certain predicaments and you have a thoroughly disappointing film. I will give some credit to the group of child actors in the movie — all of them performed admirably, especially Elle Fanning, even though their characters had little redeeming values. There’s an obligatory fat kid who gets harped on about his weight and has a habit of yelling “Mint!” every other minute. There’s a kid with braces who is a pyromaniac, and his backpack full of fireworks is always brought up in an attempt to get a cheap laugh or two. There’s also a kid who vomits profusely when the going gets rough. Outside of the main protagonist, I didn’t care about any of them. 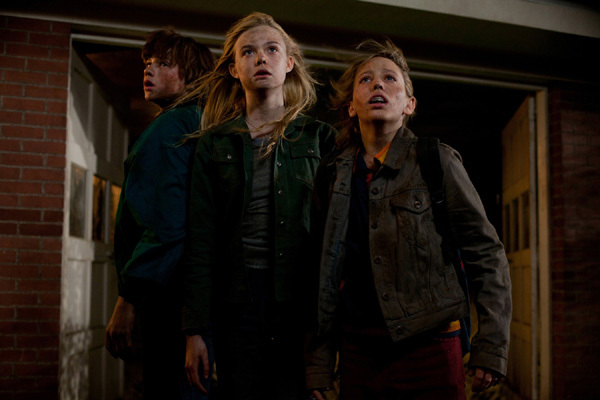 Super 8 is essentially a retread/homage to the old Spielberg blockbusters. There are so many plot holes, cliches and moments where the audience’s intelligence is severely questioned that it never comes close to reaching the levels of its influences. 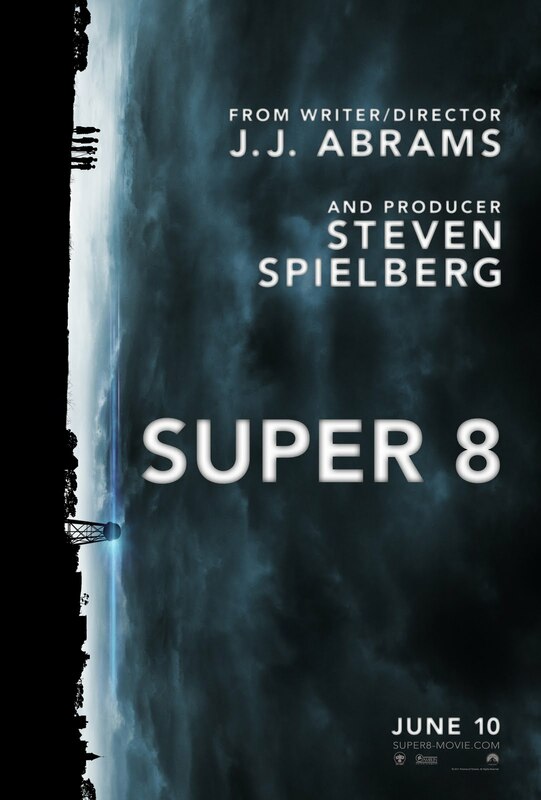 Perhaps I am not in the target audience — which seems to be 1) kids and 2) adults who still have a soft spot for the 70s/80s Spielberg movies they grew up with — but I just didn’t care at all for Super 8. It has its moments, such as the impressive train-wreck and some of the shots from the kid’s zombie film, but for the most part this is a fairly lackluster summer title. Wow…that’s kind of disappointing. Looks like this is a wait for DVD. Thanks for the warning. Well, this has received a lot of good reviews, and it seems I am in the minority with my views. You might like it more than me, especially if you go into it expecting to see a throwback to the old Spielberg flicks. It just didn’t connect with me the way it did for so many others. Well I was one of the, seemingly, few that didn’t like Cloverfield, and I normally like the monster movies. I do like Kyle Chandler though, so I will probably give it a watch at some point. The movie confused my as well and I struggled to follow the ever changing plot. What was invading the town? Was it some sort of alien or monster or something? Great review by the way, agree with absolutely everything! Couldn’t have reviewed it better if I tried. If you have any spare time, why not check out my blog? Glad to know I am not alone on this one. I really don’t understand how this movie got so many great reviews. Must be the love of nostalgia, I suppose. Thanks for the kind words, and I’ll be sure to check out your blog. Nice review! I actually really enjoyed the film, but at the same time I agree with what you observed in your article. Thanks dude. I know a lot of people loved Super 8, but it just didn’t do much for me, unfortunately.